Ireland's multiple award-nominated trio Adebisi Shank share a new track today from their forthcoming release 'This Is The Third Album of A Band Called Adebisi Shank'. The song "Voodoo Vision" is available to stream below. "We were trying to make something euphoric and huge, a universe of our own imagination that we could escape into," says bassist and masked man Vin. "Our inspirations were more cinematic and fantastical." 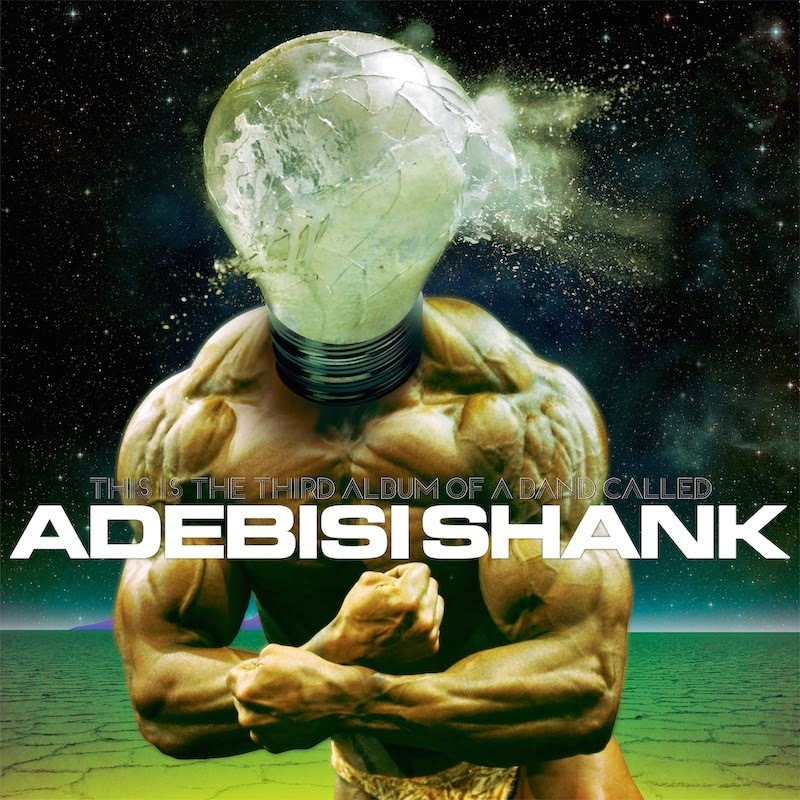 This Is The Third Album of A Band Called Adebisi Shank bursts with pure rock anthems with undeniably danceable structures. Alongside the band's penchant for unusual instrumentation is their clever use of vocoder-effected vocals which seems to invite listeners to sing along with our robot overlords.